Criminal Lawyers, also known as criminal defense lawyers, defend individuals, organizations and entities that have been charged with a crime. They are responsible for providing the defendant with legal advice, counsel and representation during a criminal trial. 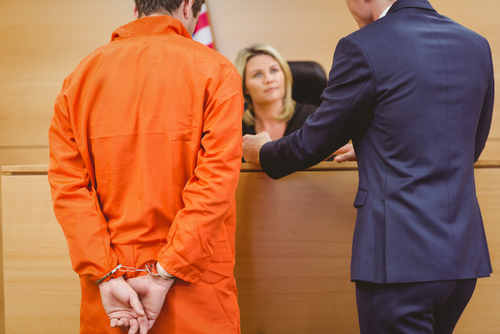 Many criminal defense lawyers become involved at a very early stage in the criminal justice process, providing legal services even before criminal charges have been formally filed against a suspect. Many criminal lawyers also continue to work with a defendant even after trial to help them with post-trial legal issues like parole and probation. Every criminal defense case is unique. The manner in which the criminal defendant acts and answers the questions that the prosecutor poses is important. Moreover, it is crucial for clients to tell their lawyer the complete truth. The best criminal defense strategy lies in the defendant and the criminal lawyer laying out a story that is based on the truth. Even if the defendant is guilty, if he or she honestly confides the truth to the lawyer, the lawyer can present the story in a better light. This could result in a plea bargain, or to the defendant being found guilty on a lesser charge. If a defendant confesses to his lawyer that he or she actually committed the crime, the lawyer does not have to disclose the client’s confession of guilt to the court or to anyone else. The lawyer can advise the client to change his or her plea to guilty, but the defendant has immunity from self-incrimination under the Fifth Amendment of the U.S. Constitution. Moral and professional ethics bind lawyers from revealing statements made in confidence. It is the responsibility of the criminal lawyer to advocate for the accused by doing everything within the law to clear the latter of the charges leveled against him or her. But, at the same time, it is not the lawyer’s responsibility to determine whether the client is guilty or innocent. Only a judge or jury can decide that. The lawyer will advise the client on the various decisions the client must make about how the case will be handled. The lawyer will make sure that the client fully understands the consequences of all the decisions. But in the end, the client decides and bears all the consequences. A criminal lawyer who is a private practitioner has the right to decline or accept a particular case. However, the accused has a right to legal counsel under the constitution. A court-appointed lawyer will represent the accused if he or she is not able to pay for legal representation. Every lawyer is sworn to uphold a code of personal responsibility requiring them to represent the client to the best of their abilities within the parameters of the law. If you or a loved one is facing criminal charges, you can contact The Law Offices of Joel Silberman, LLC. Call our toll free no. at (800) 889-3129 or email us at Joel@joelsilbermanlaw.com. We represent every case with commitment and dedication.